Going – Going – Going … Gone! 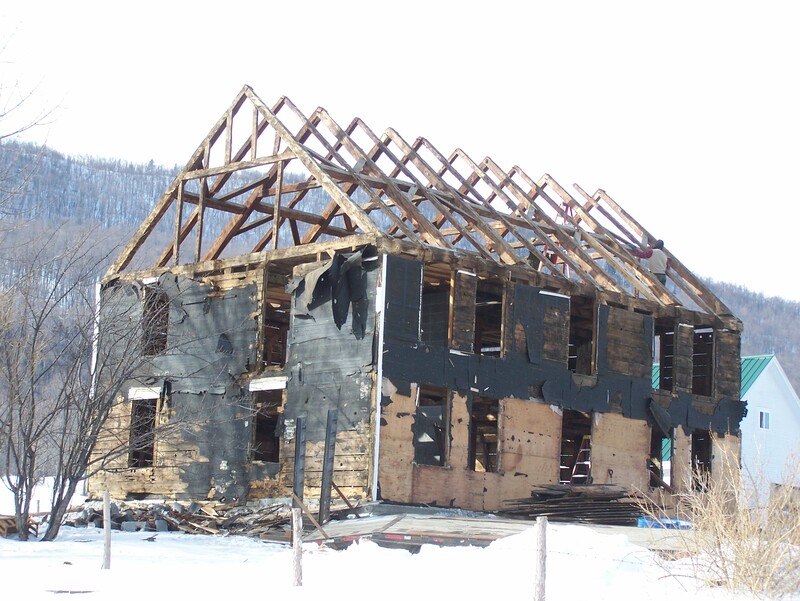 How do you dismantle a timber frame for restoration? Going… Going… Going… GONE! 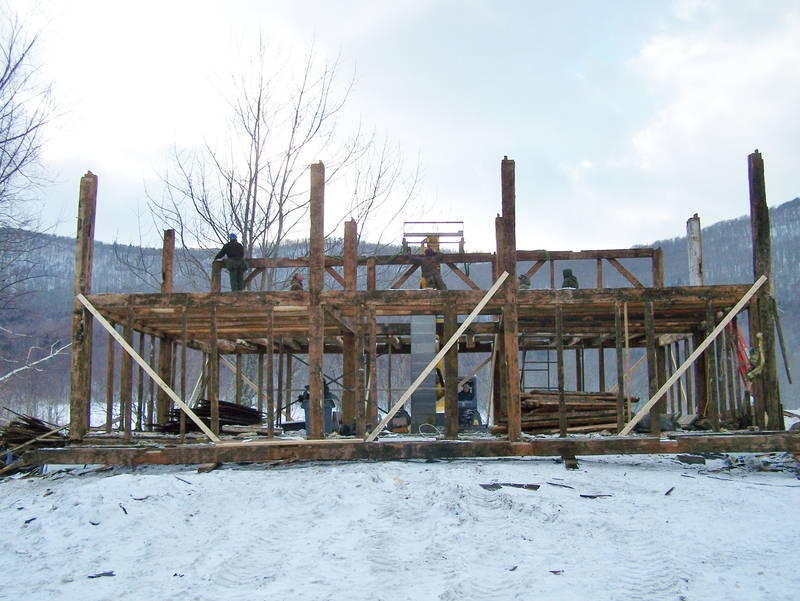 Thanks to all of your help and support, this timber frame from Tinmouth, VT is now being restored at the Green Mountain Timber Frames workshop in Middletown Springs. After carefully skinned the old timbered house, we took it apart, timber by timber, making sure to label meticulously along the way. 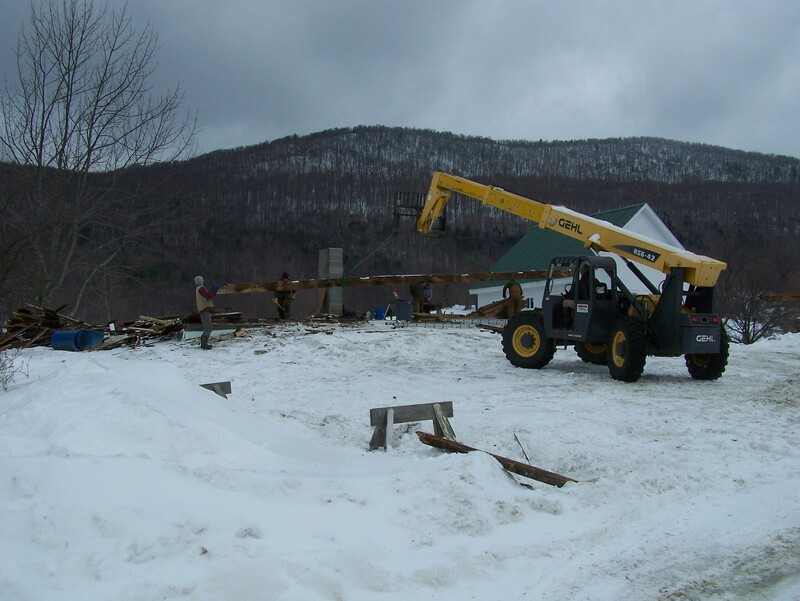 Over the next two months, we will professionally restore the timbers, before reassembling the frame in New York. Look forward to the results in late summer, when we re-erect these historic beams for another 235 years! In the mean time, we hope you will stay tuned with our blog! 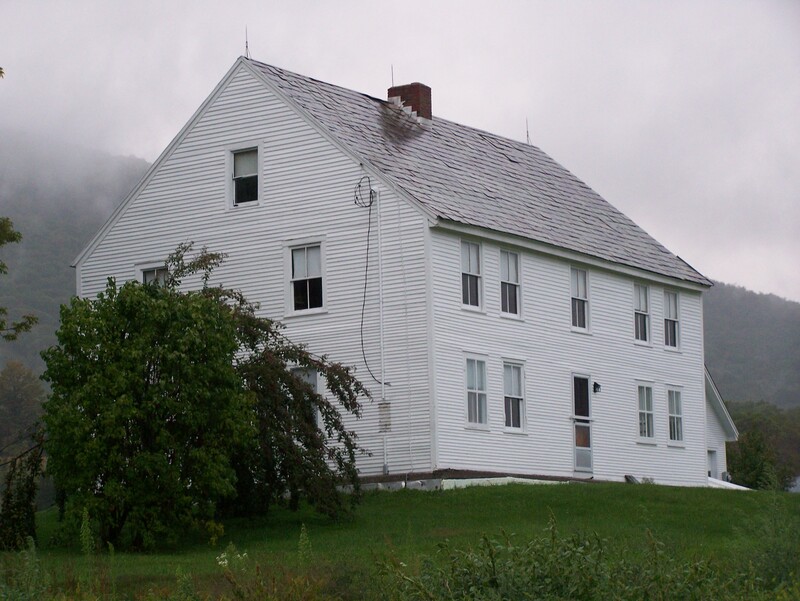 This entry was posted in Green Mountain Timber Frames, Middletown Springs, Post and Beam, Sold Timber Frame Homes, Timber Frame Projects and tagged American heritage, American History, barn frames, barn homes, barn repair, barn restoration, barn style homes, colonial america, gambrel roof, timber frames, vermont architecture, vermont timberframe by Green Mountain Timber Frames. Bookmark the permalink.